Description: Book is bumped and slightly curled at upper fore edge corner. A little edge wear to spine edges. A few small soil spots on wraps. Inscribed by one of the contributing authors, Charlie J. Fairbanks (He and most of the contributors are pictured in a group photograph on the final page of the magazine). 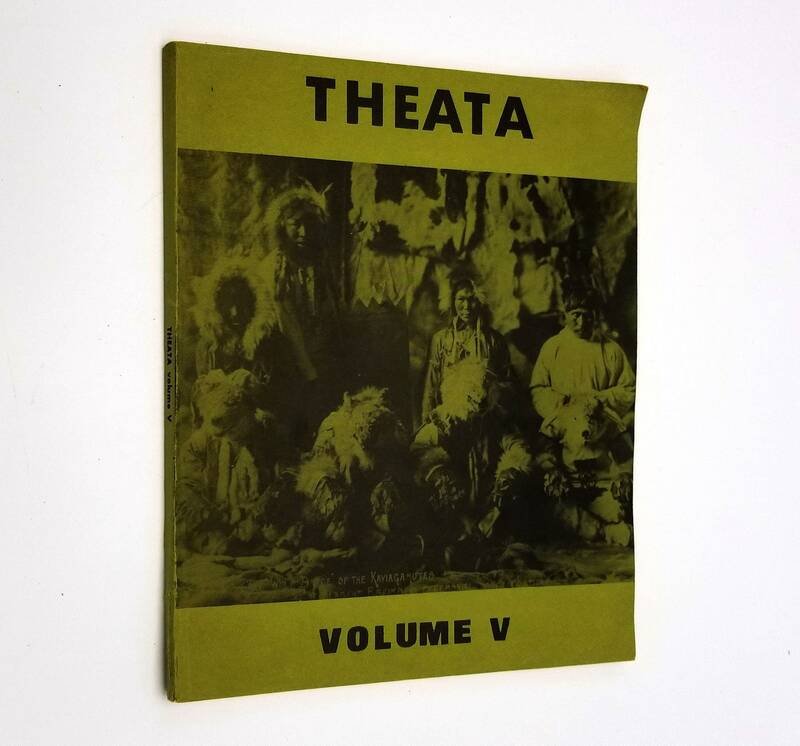 "THEATA, an acronym for the major Alaskan Native groups (Tlingit, Haida, Eskimo, Aleaut, Tsimpshian, and Athabascan), is a magazine of non-fiction. 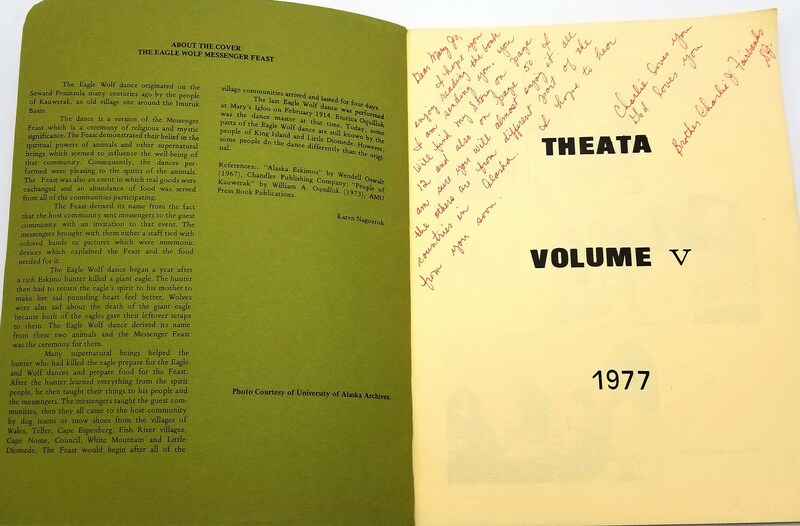 The articles in Theata were all written for Cross Cultural Communications 106, Intensive Writing Development, taught at the University of Alaska, Fairbanks. The students who enrolled in CCC 106 this semester could trace all or at least part of their ancestry to one of these Alaskan Native groups. "Some of these college students wrote articles based on their first-hand knowledge of and experiences in rural Alaska; others, due to their urban backgrounds, researched details and learned aspects of their history as they wrote their papers. Many articles record events and some record biographies of Alaskans whose lives had not been written down previously. 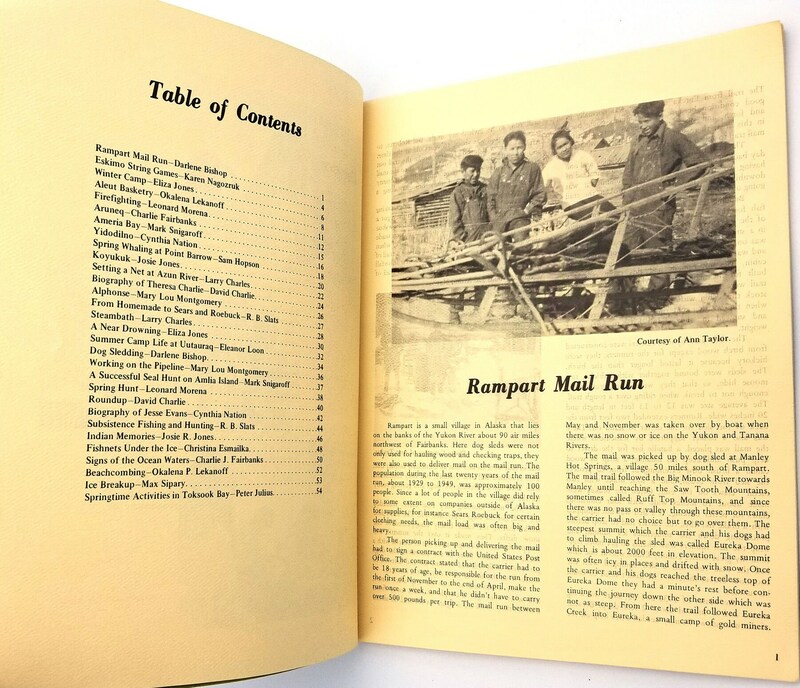 All of the articles in this volume give a glimpse at life in the various areas of Alaska by Alaskans themselves." Size: 8.3 x 10.3 inches.